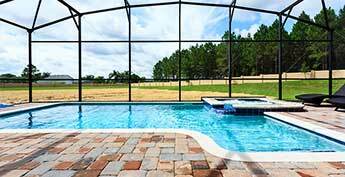 Our Platinum Star Collection of Orlando vacation rentals consist of a unique selection of our finest Resort Style Orlando vacation properties. Available to guests with discerning tastes, these stunning properties offer a variety of amenities such as fully equipped kitchen, state-of-the-art home theater system, and swimming pool with whirlpool spa, game room, upgraded bedding, free Wi-Fi and more. 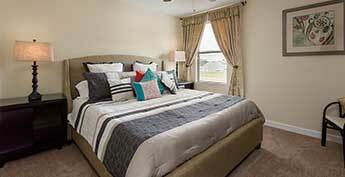 Our Platinum Orlando vacation rentals also take into consideration square footage. These properties have ample bedroom, bathroom, and living spaces. Available to guests with discerning tastes, these distinctive private residences offer a variety of amenities such as fully equipped gourmet kitchens, state-of-the-art home theater systems, swimming pools with private hot tubs, game rooms, plush bedding, free WiFi and more. 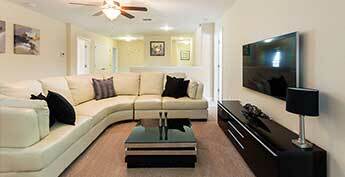 Our Platinum Orlando vacation rentals also take into consideration square footage. These properties have ample bedroom, bathroom, and living spaces. After a fun-filled day at Disney or any of the Orlando theme parks spend your evening with family and friends relaxing around your pool and enjoying dinner on your private patio. And when your evening’s done, slip away to your master suite king size bed and sink into the plush linens. Choose to vacation in luxury with a Platinum Starmark Orlando vacation rental located just minutes to Disney World, Universal Studios, Sea World and all the other major Orlando area attractions.